The jowl is the name given to the heaviness in the lower jaw as we age. It is a combination of loose skin, loss of elasticity in the skin and loss of volume in the lower face allowing the lower cheek to project downwards. The jowl disrupts the normal smooth contour of the jawline as shown in the picture above. How can I treat jowls? There are a number of ways that the jowl area can be treated. The main non-surgical way of treating jowls is with dermal filler. In the diagram above you can see the jowl and pre-jowl sulcus in a patient in their 60s. We can place dermal filler in the pre-jowl sulcus to create a bridge of filler between the chin and jowl to hide its’ appearance. The surgical way of treating jowls is to have a lower facelift. This procedure removes some of the loose skin in the lower face and reduces the appearance of heaviness and jowls. This can work really well if you have lots of loose skin in the lower face and jawline. It involves an operation with a Plastic Surgeon and is not a treatment that we offer at Cityskin. We can relax the muscles the muscles of the lower face with anti-wrinkle product to reduce the downward pull and cause a subtle lift. This is known as a ‘Nefertiti lift‘. It is a very subtle lift and often it is better to treat jowls with dermal filler. How much dermal filler will I need to treat jowls? Generally speaking we use at least 1ml of dermal filler to reduce the appearance of jowls. This is a general guide and the amount of filler that you may need varies from person to person. Which dermal filler do you use? We tend to use a volumising, longer lasting dermal filler in this area as it gives good support to the area. 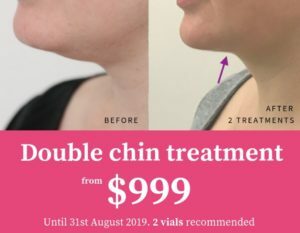 How much does jowl dermal filler treatment cost? Have a read of our dermal filler cost page to find out more about all treatment prices. We tend to use between 1ml and 3ml of dermal filler to treat the jowls and jawline depending on how much heaviness there is. The video below shows Bianca Quon from Cityskin discussing the cost of jowl dermal filler at Cityskin. Dr Ilana Galgut from Cityskin discusses how dermal filler is used to strengthen the jawline in women and men to reduce the jowls. 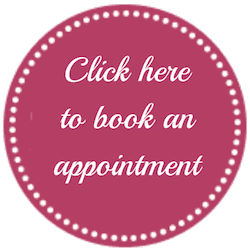 Click on the button below to book an appointment with one of our expert medical professionals.